Nate and I went to St. Louis this last weekend. We left Little Rock on Thursday after work and returned on Monday afternoon. (Mostly) the purpose of our visit was to see my grandfather who has been having quite a few issues as of late and is stuck in bed. I don't know what my expectations of this trip were; I just knew that I couldn't remember what I said to him the last time that I saw him and, this time, I wanted to make sure that I did. We had a great (though exhausting) trip. I wanted to take some pictures of Nate with my grandfather, but that just didn't happen. And you know what? I'm okay with that. I got to see the people that I needed to see. I got to hear him call Nate a "cute little fucker" and, well, that makes me smile (And is also the first thing he said upon meeting Nate as a newborn). I got to meet sweet baby Lucy Anna (four months later). And I did get some quality shots of Nate at the amazing City Museum and the St. Louis Zoo. 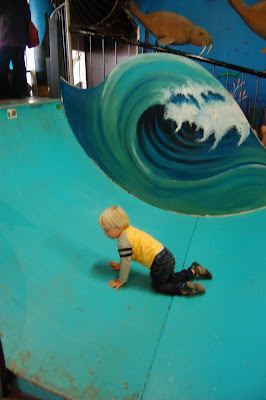 The toddler area. The whole place is six stories with a ferris wheel on the roof! I'm slightly pissed off at the world this week so it's best I keep quiet! Have a great weekend! He is a cute little fucker. I loved seeing you but when you leave it makes me miss you even that much more. I love you guys!!! I think I'm in love with your grandfather. 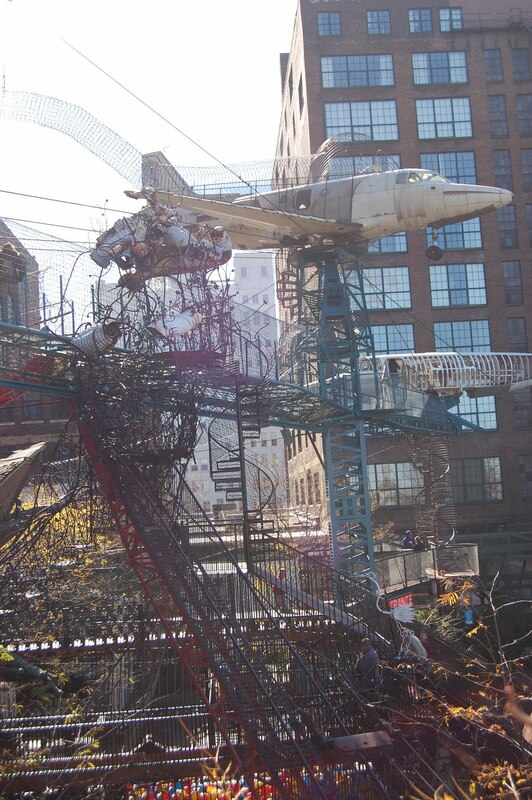 I haven't been in years, but I love the City Museum! The picture of Nate climbing up the wave is so cool, he almost looks like he's part of the mural.